From October 5, 2013 through January 12, 2014, C3 will be hosting a community exchange project in conjunction with our new exhibition, Jim Hodges: Give More Than You Take. The exhibition subtitle is a reflection of Hodges’ thoughts about what it means to be an artist and to have a voice in our community. Inspired by this idea of the power of our individual voices, we wanted to offer a chance for DMA visitors to consider how they might use their voice in creative and positive ways. After visiting the exhibition in the Barrel Vault, walk down to C3 to participate. Express your voice by creating a button with a personal motto that you’d like to share. Exchange your button for one left by another visitor and wear it out into the community. Then, make a positive gesture in your community by giving that button to somebody else. 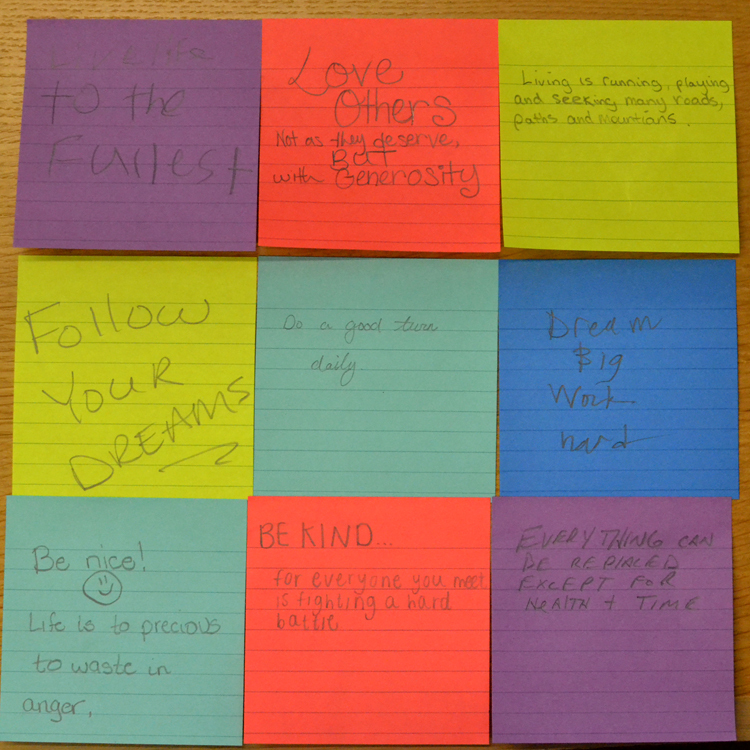 Check out some of the responses we received when we asked visitors about their personal mottoes. What will you say with your voice?